Contact us for advice or the latest sizes, prices and colour brochures. 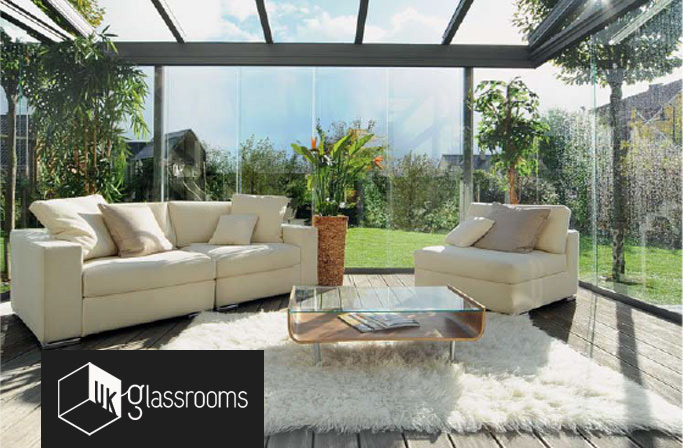 Enhance your home and garden with a virtually transparent glass room. 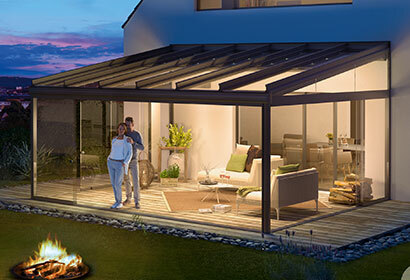 Making the most of your home and garden is important, however with the unpredictable weather in the UK this is not always easy. With a Glass Room, a Glass Veranda. 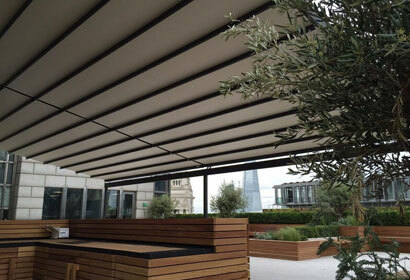 or a Terrace Cover, the solution to enjoying your garden all year round is available. High grade products and innovative design, coupled with excellent customer service, ensure that we are sure to find a product to suit your needs. Our glass rooms are tailor-made solutions, and our wide range of optional blinds, awnings, and glass door products means they can fulfil almost any wish. 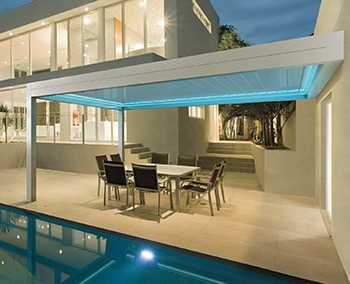 Aluminum tilting blades, which rotate from 0° to 135°, letting sunlight in and yet creating a natural airflow that keeps the area beneath it cool. Enjoy your garden until well into autumn – Retractable fabric roof system will keep you well sheltered from the wind and other elements. And your patio furniture can remain outside without being damaged. 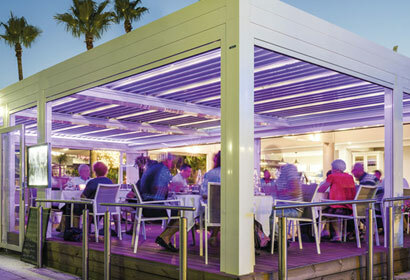 The appeal of these fabric roof system are their elegant construction, attractively shaped designs and high durability. With numerous versions available, it is also very suited to many different types of houses and requirements. Whether you are hosting a party, entertaining with a barbecue, or simply sat outside relaxing, the addition of the correct music can elevate an experience to one that truly creates memories. Now, both Gibus and Markilux have their own inbuilt sound systems to help you create the perfect atmosphere for every outdoor event. Gibus' Audio System utilises bluetooth technology yo connect to your preferred audio system, whilst Markilux's Concertronic used the standard 3.5mm input and produces a remarkably full bodied sound to truly bring the party outside. In commercial realms, this can of course have many applications. For instance, it can help you set the ambience of a restaurant, cafe, or bar, to really raise the dining experience.